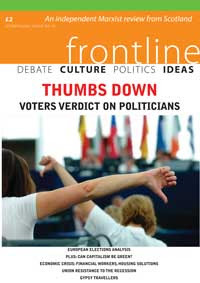 The new issue of Frontline magazine is out. Get it here. Some great articles, particularily the couple on Scottish gypsy travellers and the one on green capitalism.